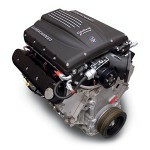 Choose from one of the packages below to navigate to individual engine packages. 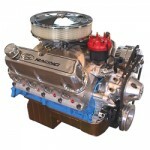 Our range of ready-to-run engine packages are built from your choice of either all new or re-machined seasoned blocks (with proof of age certificate for SVA / IVA). 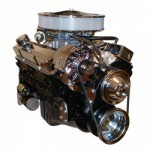 Also check out our emission legal engines such as the GM LS units. Our packages are supplied complete and fully assembled, including all ancillary items right down to the spark plugs and air filter – ready to drop in and run! 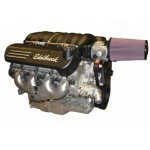 These engines are built from top name brands such as Edelbrock, Eagle and Milodon for dependable performance year after year. Do not be fooled by competitors exaggerated horsepower claims, we suggest that instead you study the components list - as this is what you are really paying for! Ordering one of these is easy, we require just 10% deposit and the balance is payable upon completion. Be concerned if you are asked for a larger deposit or stage payments from other companies. All our packages are backed by our own parts and labour warranty. 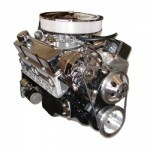 We also supply custom built engines, long blocks and short engines (less cylinder heads, sump etc.) 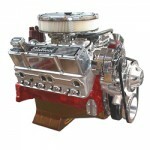 for those customers replacing an existing tired or faulty engine.